This was to be my fourth Kusam Klimb having run it previously from 2007-2009. I have been fortunate to be able to take wins for all three of those previous attempts. This year though, would be much harder, as Jeremy Clegg was in attendance and he has been training like a madman. I knew his climbing skills would be off the charts and it would be tough to beat him. Jeremy and I took off quite quickly on the first couple of flat road kilometers running about 3:40/km splits. Then we headed uphill for the start of the epic 1650m climb over less than 6km. The first couple of kilometres are not too steep and Jeremy stayed together. While I wasn't suffering too bad, I wasn't feeling amazing either and knew that the steepest part of the climb would be tougher than ever this year. Jeremy definitely seemed to be more comfortable than I was and I wasn't surprised when he decided to take off on me about half way up. I wasn't able to match him and he slowly pulled ahead. This was the steepest part of the course where we were gaining 400m for each kilometre - running is not really an option for most of this section and taking close to 20min is not unreasonable. There are many sections so steep that I was on all fours many times. The trail finally eases off a couple of kilometres from the summit, but the snow also appeared on the ground making it a little more challenging. By this time Jeremy was out of sight, perhaps a minute or so ahead. There wasn't much I could do about it so moved as best as I could on the remainder of the climb and hoped that I could reel him back in on the downhill. Soon enough I make it to the false summit where the course descends to the alpine lake before the final push to the summit. Unfortunately, the course is not well marked here and Jeremy missed the turn up to the final climb. I helped him get back on track and we scrambled together to the pass. The extreme downhill in the snow is my favorite section of the race, with very steep snow covered slopes. There are ropes set up that some racers use and others prefer to slide down. I personally love just to run down, but some sections are just on the edge of my control - luckily I held it together and was able to put a bit of time into Jeremy on this section. He fought back though when the slope leveled out. I knew it would be a tough remainder of the race. Neither of of would allow the other to have an easy victory. Once we were out of the snow, there was about 4km on double track with several creek crossings before heading onto gravel road with a nice downhill grade. We were cranking out kimometers just over 3:30/km for this section. The next section is a decommissioned road which is flater and a little tougher. Then comes a bit more single track and a final creek crossing and a tiny uphill grunt. It is nothing really, but hurts after so much downhill and I always cramp here a little bit. The final 2.5km is partly gravel road and then a final kilometer or so on pavement. Jeremy and I were still neck and neck before the pavement, but he opened it up on a small downhill section. I just didn't have anything to counter with since we were already running at about 3:20/km pace. I tried to make a move on the final flat section, but there was nothing more in the tank. Jeremy crossed in 3:23:03, just one second faster than my previous course record from 2009. I came in 14s later for my second best Kusam time. I was honestly a bit disappointed to not get the win and lose my course record, but Jeremy certainly deserved the win and it was good to be challenged for the first time in this race. Matt Cecill was 3rd about 10 min back. Top woman was Alex Gillett from Victoria. Congrats to Jeremy Lawrence and Richard Knowlton for there 7th and 8th place finishes for the first Kusam try. This was my first time doing this course so I was interested to see what the course would be like. I had heard from others that there was both a tough climb and a punishing decent and I didn't doubt them. There were a number of solid runners in the field including Brad Crowe, Shawn Nelson, Travis Pirozzini, and Stefan Jakobsen. The race started with a steep road climb and I went out fairly hard, wondering if anyone else would go with me. This day, no one opted to do so and by the time I made my way onto the single track I was on my own. There was a bit of downhill back towards the highway before crossing Holland Creek and heading back up the other way. I kept a good solid pressure on myself without going crazy. There were a few good little grunt climbs along the creek, but nothing too sustained. After a couple of kilometres, the course popped out onto some double track. Soon though came the major climb of the day (over 300m in just over 1km). It was tough, but I was determined to run all of it and just barley succeeded in that goal. The course eventually topped out at Heart Lake and the soon turned into a mostly flat rocky road. After a little more than a kilometer of this, the course turned downhill and quickly lost all the elevation previously gained. The decent wasn't that much fun being double track with some loose rocks. I hammered it out though keeping a good pace going. The course leveled off for a bit before heading back down the steep road we came up on. It was punishing, but is thankfully short. I crossed the finish line feeling fairly strong in 1:11:50. Brad ran well, capturing 2nd in 1:14:20 with Shawn Nelson in 3rd. Julia Tschanz took the woman`s win edging out Kaylee Beales. Overall, I didn`t feel amazing, but was still a fairly solid race. Results. I've been busy racing and not blogging so here are some quick race updates from the last month. Three solid races for me. I decided to pop into this race primarily as an good excuse to get a solid long training run in. I wasn't trying to set any records and mostly wanted to just run smart and finish strong. I didn't even realize until a few days before the race that the 50k distance was the National Championship this year. This didn't really change anything except that I was not allowed to have any pacers for the event. I was initially thinking of asking some friends to see if they wanted to run some laps with me, but it wasn't a big deal since I am accustomed to running on my own and pushing myself. The 50k consists of 5 laps around Elk/Beaver Lake. Perhaps it is not the most exciting of race courses given the repetition, but is a flat and fast course and does make refueling easy since you pass by your own drop bag every 10k. When I picked up my race number the night before, there was talk of a 2:20 marathoner being entered into the event, but I race day, no one materialized, so I don't know if it was just a rumor or if he was a no show. The start time was a painful 6am which makes sense for the longer 50 Mile and 100k distances some others where running, but seemed pretty early for a 50k. On the plus side, I planned to finish well before 10am which left more of the day (most likely just for napping, however). I was curious if I would have any competition during the day and as soon as we started I found myself running with Chris Barth, a talented Masters runner from White Rock. Chris competes in a decent number of long events and with a marathon PB in the low 2:40's is a solid competitor. Within a few kilometres, Chris mentioned that he had just completed the Vancouver marathon a week before and could still feel it in his legs. I was not surprised, as marathons definitely take their toll on the muscle fibres and require more than a week to recover. We set out at just over a 40 min 10k pace, which was just slightly faster than I had planned to go, but it was still quite comfortable for me. The first lap went by in 41:07 and I grabbed some fuel and headed out for the 2nd lap. I mentioned to Chris that I was going to slow down just a bit so I could finish the race strong and that he could move on ahead if he wanted to go faster. He opted to stay with me though and we chatted a bit while cruising through the lap. I was feeling quite good at this point which is the way I knew I had to feel if I wanted to avoid fading. The 3rd lap also felt good, and on the start of the 4th, I decided it was time to push a bit harder. Chris, certainly feeling his marathon now, was unable to stay with me and fell back after a few kilometres. Now, I just had 18km more to go! Things started be be less comfortable at about the 35km mark as my legs started to tire and my right hip was becoming sore and strained for some reason. Still, I was able to maintain my pace and resolved to push to the end. At 40k, I grabbed some final fuel and headed out for the final lap. Things were certainly more challenging now and although I fully expected to be able to finish fairly strong, I did think that I may slow just a bit. Probably the worst thing I was feeling was my left foot where my sock seam (which was not quite placed correctly), started to rub on one of my toes. At times it was quite painful and I knew a large blister was forming. It almost forced me to limp, but wasn't quite bad enough to make me stop. I managed to work my way thorough that pain and general fatigue although I did have to stop to water the trees at one point. I was able to muster a decent surge to the finish line and was surprised to find that I actually ran that final lap faster than any others, clocking it in at 40:36. My total time was 3:25:59 - not near a course record and probably a little slower than I am capable of, but still respectable for me. Chris had a rough go for the last 20k and finished 12 min back. Jim Swadling rounded out the top 3 and Robyn Standing took the win for the women. Apparently I am now the National Canadian 50k champ...although it felt just a little too easy to claim that crown. This year boasted a new course designed by Jeremey Clegg which promised to offer some sweet single track. Jeremy was also racing and since he has been training very hard, I expected him to offer stiff competition. Also in attendance was Shawn Nelson, who despite only doing minimal training at the moment, was still a serious contender. The course started with a gentle climb and for the first couple of kilometres and I tucked in behind Shawn with Jeremy and several others just behind. My plan was to bide my time until I saw a place to make a break for the lead. I generally prefer to run out in front setting my own pace rather than coming from behind (assuming I can do this without risking blowing up). We were moving at a decent pace, but it felt quite sustainable. At about 5k, we hit the first the 3 main climbs consisting of a modest grade 150m climb. Shawn slowed down and I saw an opportunity to put on a bit of a surge to see if anyone would respond. I felt good powering up the grade and no one seems keen to come with me. Within a few minutes I was on my own and was soon treated to some great downhill single track that I bombed down. A few kilometres later I faced the toughest climb of the day, peaking out at about 350m above sea level (we started at around 60m). There was a couple of especially tough sections, but I managed to run everything and was still feeling pretty solid. I flew down the downhill, but near the bottom I caught a toe on something and did nice flying sprawl drawing some blood in a number of places. Fortunately, it was nothing serious and I scrambled to my feet and got moving. The final climb was gradual, but was a bit of a grind after the first two. I was happy to peak out and be able to head downhill for a while. After a bit of gravel road and some more single track adjacent to Colliery Dam I finally neared the finish line. I pushed hard to the line and crossed in 1:40:02 a bit over 3 min ahead of Jeremy who had a strong race. Shawn would have finished 3rd, but somehow missed a turn (the course was very well marked) and cut the course short. Brad Crowe benefited from his mistake, taking the third spot. Laylee Beales took the woman's win in 2:08:18. Overall it was a great race for me and I really enjoyed the course. 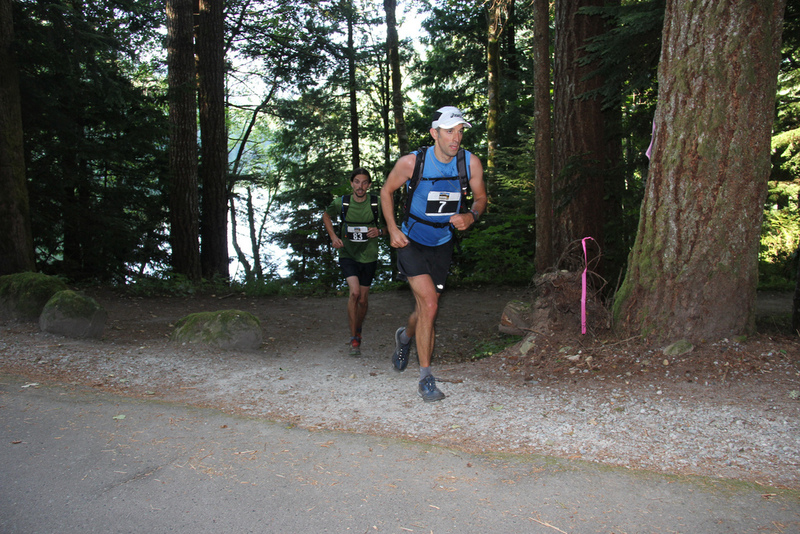 Thanks to Jeremy for putting together a fun one and to all the race organizers (Frontrunners Westshore) and volunteers. It takes work to put such a great race together. After my disaster at Boston, I decided I wanted to take advantage of my fitness and training and prove to myself I could pull off a decent marathon. This race was a good option, with the timing working and being in Port Angeles just across the Juan de Fuca Straight. I scaled back my goal from sub 2:35 to sub 2:40 perhaps aiming for a little less than what I am capable, instead wanting to have a positive experience rather than potentially blow up and suffer to the finish. With a field of only around 300, this race generally doesn't boast a deep field, but about half the time the winner has posted times under 2:40 so it was uncertain if I would have competition or not. Regardless of who was out, I was planning to run my own race. Race start was a reasonable 9am, but it required a shuttle out to Sequim where the race began. After a small loop in that town, the course continued toward Port Angeles and was primarily on a paved trail. Chris Calendar won this race last year and gave me some useful info on the course. It wasn't overly hilly, but did have several steep climbs out of creek valleys plus a few gradual climbs. Luckily there is a nice downhill on the later section of the course and after that, it is pretty much dead flat along the water. I took an earlier shuttle than required so had to wait nearly an hour before the race started. Since it was a marathon, I did not need to do any warm-up since I didn't want to be on me feet any more than required. On the start line, I chatted a bit with other Victoria racers, Mark Richie and Craig Payne who were both hoping to finish in the 3 hour range. I bid them good luck and soon we were off. The one nice thing about the marathon is that the start feels quite comfortable and almost effortless. Of course, near the end of the race that same 'effortless' pace becomes extremely difficult to maintain, but at first it feels great. One young guy pushed ahead quite fast, but I could tell just by looking that we would be unable to maintain that pace so settled into my pace in 2nd place. As expected, before the first mile marker, I caught and passed him and he was already breathing hard - not a good way to start a marathon! After the race, I heard he finished in the 4 hour range and I'll wager that wasn't a fun time for him. I needed to run a 3:48/km pace to get a 2:40 time, but since we were in the US, I had to start to think in miles a bit more. I incorrectly converted that pace into about a 6:15/Mile (it is actually 6:06). This unfortunately meant that I went out a little slow and this was complicated by the fact that the mile markers were not placed correcting or were completely absent in some cases. This is my only criticism of the race. If you are going to have markers, you should measure them out to be at least reasonably accurate - some of them were out by over 300m! In retrospect, I should simply used my Garman to track my kilometers - it wouldn't have been exact, but would have been close at least. What this meant was that by the time I hit half way (or about where I though half way was since it wasn't actually marked), I was over 1:30 off my goal time. If I was going to reach my goal I would really have to pick it up. Luckily, the first half had felt good and well in control so picking up the pace seemed quite possible. From that point on, I put the pressure on myself to run hard and test myself. Unlike Boston, conditions were cool and overcast - basically perfect for running. The aid stations were placed about every 2 Miles, which was frequent enough and I utilized most of them to grab some water or Gatorade to make sure my hydration level stayed high enough. There were only a few spectators, but both they and the aid station attendants were enthusiastic. The nice thing about leading was that I never once had to second guess my route choice since there were 2 lead cyclists in front of me the whole time. To be honest, much of the race blurs together, but I do recall a lot of paved trail with a few of the afore mentioned dips for creeks. There was a bit of a sustained gradual climb at one point which forced me to dig deep for, but which I still moved fairly well. When I hit the 16 Mile marker, I started to count down....OK, just 10 Miles left now. This is one advantage of the imperial system - it is easier to fool yourself into thinking it isn't that far to go! Slowly the miles ticked off and I still continued to feel good and was able to sustain brisk pace. With about 5 Miles to go, Chris Calandar was on course just after the big downhill to cheer me on. He had already won the 10k race earlier in the day. I pushed on and was soon running along the ocean on the Discovery Trail. I had been passing early start marathon walkers and slower half marathon participants for quite some time now, but the density really increased along this section. Many of them were great, and stopped and turned around to cheer me on when they were alerted to my presence by the lead cyclists. It really does provide a boost, especially this late in the race so thanks to all everyone! The miles did go by slowly at this point, but compared to how I felt at Boston at this point in the race, I was as fresh as a daisy! I was trying to calculate how close I was to being able to break 2:40 and I knew I was on the cusp, but my fatigued brain couldn't quite figure out exactly how close I was. With a couple miles to go, we were diverted off the flat trail to make a small detour on gravel around a construction site - it wasn't terrible, but certainly affected my time a bit. Eventually, I saw the 25 Mile marker and knew there I was on the final stretch - at 26 Miles, I looked at my watch and saw that I had mere seconds to make my goal - I gunned it finished the last 0.2 Miles in a 3:08/km pace which I felt pretty good about. Unfortunately, it wasn't quite fast enough and I crossed the line in 2:40:14 - so close! I was a bit bummed to not quite make it after all that distance especially since I almost for sure could have done it if I had just been closer to on pace on the first half of the race. Still, I couldn't be too disappointed to get the win, feel good doing it, and be very near my goal while setting a 6min PB. Those are things that seem to be particularly tough at the marathon distance. I found out later that Pascal Spino passed a fading Kevin Saur on the last Mile to claim second place in 2:55:06. On the woman's side Ginger Gruber claimed the title after several previous tries in 3:28:15. Mark Richie came in forth with a huge PB getting under the 3 hour mark. Other than the Mile markers, it was a well run event. I even got interviewed by a couple of local reporters after the race. The Marathon definitely attracts the most attention. Just a quick race update. This was my 10th year running the TC making it the only race I have run every year since I started running. Seeing that I am more focused on longer races right now and coming just two weeks after the Boston marathon, I didn't have huge aspirations on the day. Since I had run sub 33min earlier in the year at Cobble 10k, I was hoping to get close to 33min which meant running about a 3:18 pace. During the first couple of kilometers I settled in and was initially on pace for around 33min with close to 3:15/km for the first two. While on pace, I felt that I was working a bit harder than I should have been this early in the race. I moved on and I reeled in a couple of quick starters. I had my eye on Ben Brzezynski just ahead of me who had just ran around 32:30 at the Sun Run two weeks ago. If I could keep him close, I could probably end of with a decent time. The 3rd km was slower at 3:20, but not too bad and by the 4th I was back on pace. Unfortunately, I knew the climb up to Mile 0 was coming so maintaining that pace would be tough. Even though I felt that I was pushing pretty well and I did make some ground on those in front of me, I did slow on the climb somewhat, hitting a slowest km of 3:28 for the 6th km. I should have been able to gain some of that time back on the decent from the high point, but I still found myself behind pace. I didn't feel that I was really hurting, but I still couldn't I pick it up any more. Around 7km, I noticed Ian Hallam pulling off to the side ahead of me. I'm not sure what happened as Ian is quite a fierce masters runner. While I knew I was off my goal time, I still pushed ahead feeling like I could get a decent finish. With about 1km to go, Kelly Guest was pushing hard to the finish and passed me. I picked it up a bit, but couldn't quite match him. I still ended up with a 3:18 final km which wasn't too bad finished in 33:30. This was a bit slower than I had hoped, but not a total disaster either. Kip Kangogo won overall with a 29:51 finish with Willy Kimosop just 14s behind. Ben ended up 23s ahead of me. Natasha Wodak-Fraser clinched the woman's win in 34:32. I was very pleased to see two of the runners I coach, Heather Afford and Larry Nylan both posted PB's. For many runners, running the Boston Marathon is a lifelong goal. Since you have to qualify to run at Boston by running another marathon under a certain time (the specific time depends on your gender and age) just getting to the start line is a big accomplishment. It is often referred to at the Olympics for the everyman (or woman) although there is no doubt that it takes a decent amount of dedication and discipline to run a marathon to begin with, let alone having to do it relatively fast. While it wasn't on the very top of my bucket list, it was something I wanted to someday accomplish. As Sonja had qualified back in 2010 while running the Victoria Marathon, I decided to go ahead and get in a qualifying time so that we could both go this year. I almost waited too long, but did manage to get a marathon in Edmonton last August in time for registering for Boston. I didn't train specifically for that race so didn't push myself to my limit, but got the job done (Running 2:47). This time around, I upped my long runs and managed to get in about 12 more than 20k with 6 of those being over 30k. I also kept up my speed work and did a handful of ~1 tempo runs. I certainly could have done more, but I was hoping it would be enough to get my goal time of 2:35 (3:40/km pace). We planned our trip to have a few days to visit Boston as neither of us had been there before. We had two full days before race day and one full day afterwards to hobble around. Boston turned out to be quite a nice city to visit with very friendly people and some great historical sites and architecture. I would definitely recommend it if you are in the area. We also spent some time checking out the massive race expo and managed to pick up some sweet shoe deals. Weather predictions before the race called for a heat wave just in time for the race. I didn't worry too much about it as stressing about it wouldn't change anything. Race organizers encouraged racers to not run if they were not prepared well enough. It turned out 4,700 people choose not to run (out of 27,000). I expect that most of these people were charity runners/and or local Bostonians. I can't imagine that too many others from out of the city would forgo running when they have already spent time and money training, and travelling. Even with reduced numbers running, getting everyone to the start line (42 km away in this point to point race) was quite an undertaking. It took us nearly 40min waiting in line to get onto a bus. By the time we finally reached the start area, I had just enough time to use the facilities, drop my bag off, and take a quick photo before walking over to the start line about 1km away. It was definitely warm but not extremely hot at this point. I still opted to race without a shirt as I knew it would get even hotter as the day went on. I was feeling pretty good and felt ready to take on the challenge. Despite the anticipated heat, I still choose to stick with my original plan hoping that it wouldn't affect me that much. The course started with some significant down hills in the first 10k so I expected my times to be a little faster than goal pace, but I definitely didn't want to beat my legs up too much on the down hills since they would be needed later. The elite field of men were brought to the front just ahead of where I was standing. There was some amazing runners in that field including Geoffrey Mutai who set a new course record and world best time with an unbelievable 2:03:02 clocking last year. At best, I could run 2km at the pace he ran the entire marathon in! Being in the first corral (out of 9) in the first wave (of 3) was great as it meant that it took just 15s to crossing the starting mat. I was worried there would be some congestion, but as soon at I crossed the mat, it was smooth sailing and I could set my own pace. I settled into a comfortable pace and cruised down the initial hills. The course loses about 200 feet of elevation in the first 5km so I knew it would be a quick start, but I tried very hard to make sure I wasn't beating myself up too much. I crossed the 5k mat in 17:46, which was about 30s ahead of schedule. The next 5k went by right on track, hitting 10k at 36:03 and things continued to feel pretty good. It was warm out, but it didn't seem to be effecting me too much. There were plenty of other people running around me, but I didn't stick with anyone in particular, determined to run my own race. The crowds were not thick at this part of the race, but still quite supportive which was great. There were water stations every Mile so Gatorade and water were never far away. As the race progressed, they became all the more important. I rolled through 15k in 54:41 still on pace. While not struggling, I was noticing that I seemed to be working a bit harder than I should have been at this point. I know that if you don't arrive and the halfway mark feeling very comfortable, things are going to go bad. By the time I had hit 20k in 1:13:41, I had slipped a bit from my goal, but I still thought that I could have a reasonable finish. One of the features of the Boston Marathon is Wellesley College, which is an all girls school just after 20k mark. They are famous for giving out kisses and holding a ton of funny signs and their cheering was very loud! I didn't stop to get kissed, worried that I wouldn't get going again, but it was great fun to slap hands with many of them - it was certainly a nice little boost. Unfortunately, it didn't last and the race and heat began to wear on me. By 25k, I had fallen about 1 min back from my goal pace. I started mentally adjusting my goal and still thought that a sub 2:40 time was possible. We started to run through some towns with great crowds. The spectators were really fantastic and enthusiastic. There were tons of them giving out oranges, ice, water, and other treats. As great as the crowds were though, they couldn't take away the fact that the heat was rapidly draining me. I poured a ton of water on my head and headed though several spray stations. It helped, but was never enough to cool the body sufficiently. By 30k, I was 2.5 min behind schedule. Still not a total disaster, but I had 12k to go. It also didn't help that the Newton Hills start around this point and consisted of 4 modest hills with the last being the steepest most notorious Heartbreak Hill. Normally, these hills would not have been too bad for me, but in my weakened state, they really hurt. I was very grateful to get over the last one, but by the time I crossed the 35k mat, I had dropped 3 more minutes. I managed to speed up slightly on the downhill, but I was pretty much in total survival mode by this time. I just wanted to be done. I never considering stopping or quitting, but it each Mile seemed to last an eternity and it literally felt like I was crawling. I had long ago stopped looking at my Mile splits as I didn't want to see what my watch said. With about 2k to go, another shirtless racer caught up to me and encouraged me to hang on to him. I thanked him, but said I had really had nothing in the tank - I could barley maintain my pace let alone increase it. He took off, but then a few hundred meters down the road, he apparently hit the wall and I passed him again. I don't know where he actually ended up finishing, but it was somewhat amusing at the time. Over the last mile, I got passed by a steam of runners pushing for the finish. I really wanted to be one of them, but it just wasn't in the cards. The crowds were massive and screaming at the top of their lungs, but I just about tuned it all out in my desire to get to the finish line. I finally limped over it at 2:46:54, nearly 12 min off my predicted time. I was disappointed with my major fade, probably the worst that I've ever had, but at the time I was just so grateful to be done. On the plus side, I placed 156th which was about where I expected to be with my goal time - it was obvious the heat took its toll on everyone. One of unfortunate things is that I will never know what I could have run under better conditions, but I guess I'll have to tackle another marathon to find out. It was a tough day for nearly everyone and negative (or even splits) were few and far between, Even the Elite fields were close to 10 minutes slower than normal. Fellow Victoria, Chris Callendar, also felt the heat and finished off his goal time. Sonja faired better, while she was also off her goal time, she ran a smart race, only losing about 2 min on the second half. 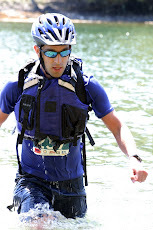 For a couple of years now, I've been contemplating trying some ultra races (anything longer than a marathon). I know quite a few people who compete in races up to a 100 Miles and more and while I'm not certain I ever want to go quite that far, I did want to give some "shorter" ultras a crack. All races from short track events all the way up to marathon and beyond are challenging in their own way. It always amuses me when someone comments about a 5k being easy because it is short since it is obvious that they have never run one at effort. While it doesn't last long, it really hurts to push at that intensity. As hard as these shorter races may be, there is something enticing about the challenge of longer races. They really are an accomplishment and it is certainly harder to pull off successful race. 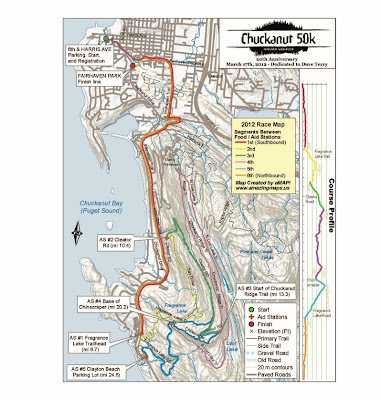 I choose Chuckanut as my first race since I know a couple people who have done it in previous years and have indicated it was a good course. I also knew that it had been attracting a competitive field the last couple of years so I could certainly get a chance to see how I stacked up against some serious talent. It also worked out timing wise by being able to slot it in 4 weeks out from Boston as I also figured that I could train for both Boston and Chuckanut at the same time. 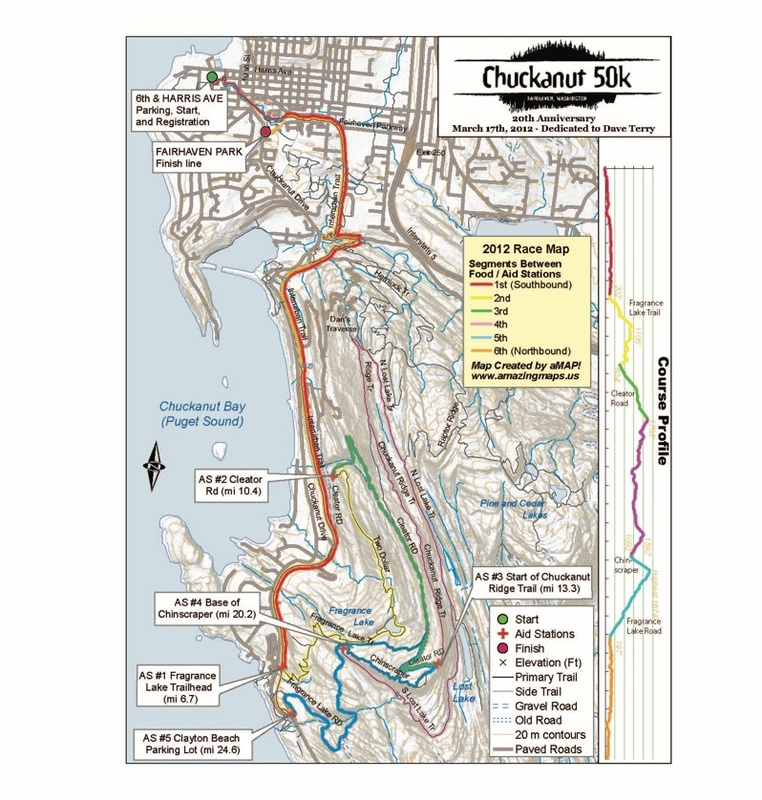 They are not exactly the same (more hills are required for Chuckanut and more overall time), but they still both require longer training runs that I normally do. My training went fairly well although I probably could have run a few more hilly long runs. 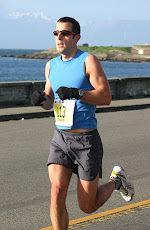 Since I raced at 5 Island Race Series races, I had to tack on long runs after each race. I had not tried this tactic before and I was a little worried that doing a long run after a race effort would turn out to be brutal, it actually worked well. The legs were of course fatigued from racing, but energy levels were generally good and most of the runs felt they they were done with quality. As the race day approached and I checked out the registered racers, it turned out competitive was a bit of an understatement. The large field (up to 1000 were being allowing this year as a 20th anniversary celebration) and previous competitive nature of the race had attracted some of the best ultra runners in North America. It was shaping up to be possibly the most competitive 50k in US this year. I Run Far had a great summary of the stellar field. I had set modest goals for this race, not quite knowing how I would fair over the new distance. The base goal was just to finish, but that really wasn't in doubt unless I somehow got injured. Ideally, I wanted to race a smart race and more or less maintain my pace and position throughout. Since the race was so stacked, I wasn't anticipating a high finish even if everything went as planned. Based on previous results of other people I know, I was hoping to finish in the 4 hour range. Fast forward to race day. Sonja (who was also racing) and I had to get up pretty early for the first wave start at 8am. Unfortunately, the weather was anything but enticing with temps hovering just a few degrees above freezing and a steady rain pelting down. At higher elevations, the rain was coming down as snow so we all knew traction could be an issue. Given the competitive field, it was no surprise that the race started pretty briskly. Jason Loutitt quickly moved out in front of the main pack. I had no intention of running with the leaders and instead settled into a approximate 4 min/km pace. The first (and last) 10k of the course is on a mostly flat wide gravel trail so keeping up a good pace is fairly easy. After 10k I figured I was in about 25th spot and I hoped to pick off of few fast starters as the race wore on. I chatted a bit with Mark Nelson who was also running is first 50k. He hadn't done a lot of longer runs so it was be interesting to see how he fared. I arrived at the first aid station at the Fragrance Lake Trailhead (10.7 km) in 43:42, which was pretty much bang on with my plan. I was feeling OK at this point, if a little sluggish. I hoped the upcoming climbs would rev me up and as we started the first climb I did manage to get a bit of a boost by out climbing those behind me and reeling in a couple if front of me. The climb was a solid 300m and brought us up past the snow level - just a thin layer, but I would see lot of the white stuff for the next 25k+. We were treated to some nice single track down to the next aid station at Cleator Road after 5.9 km on the single track (it took 31:31). Next came a long gradual climb of about 400m on Cleator Road. As soon as I hit this climb, I found my legs felt like they were already toast - they were very heavy and felt fatigued as if I had done a massive workout the previous day. This was quite disappointing as we were not even 20k into the race so I knew it was going to be a long day. While not particularly steep, the climb was excruciating for my heavy legs and it felt like I was just crawling along and 4.5 km felt at least twice as long as it really was (it took 24:58) . I didn't really lose a lot of ground to anyone else, but if I had felt good, I know I could have gained some time here. I was so relieved to finally reach the next aid station at the start of the Chuckanut Ridge Trail and give my battered legs a bit of relief. Right away, I passed a couple of guys on the technical ridge trail. There was more snow here no traction was a bit of an issue. I really didn't want to have a fall at this point - I wasn't particularly worried about injury, but a fall can really mess up your rhythm. I was feeling better, but still seemed to lack any racing gear and the legs were not getting any fresher. About halfway down, one guy went bombing past me - I don't know if he started too slow or made a wrong turn, but keeping up to him was not an option for me in my condition. Shortly after, another guy slowly caught up to me and tucked in behind for awhile. We ended up running together for the remainder of the ridge trail and all of the North Lost Lake Trail. He was just ahead as we arrived at the forth checkpoint at the base of the last climb (7.2 km in 36:29). 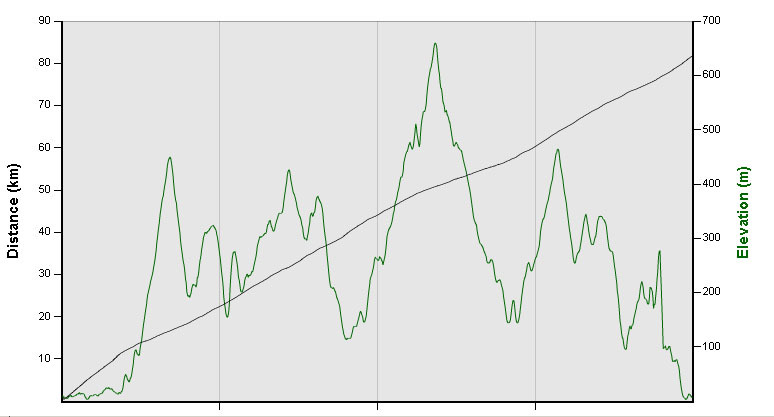 This climb with the somewhat ominous name of "Chinscaper" doesn't gain a lot of elevation with a modest 175m climb, but is the steepest on the course. I expected it to hurt my already tired legs. Somehow though I managed to run nearly all of it except a few small sections. Although my "run" was about as fast as a granny with a walker. 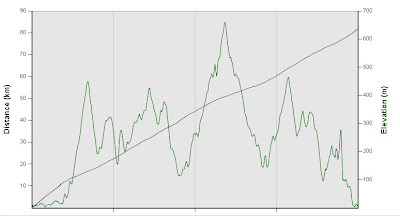 After an agonizing 15:30 (over only 1.8 km), I finally peaked out and knew all the major climbing was finally over. A long decent on road followed. The first part was on Cleator Road where we saw some of the other racers heading up towards the 3rd aid station. I was damn happy to not have to climb that one again. My legs were doing OK on the decent, but I still didn't have the ability to hammer too hard - I could only keep a steady pace going. The guy I had run with for a while slowly pulled ahead and disappeared into the distance. A little while later I was passed again by a fast moving runner. I was actually ready to see the end of the downhill when I finally made it to the last aid station after 5.9 km in 25:06. Not really a great pace considering the significant elevation loss. Now I knew exactly what was left. About 10 km on the same trail we came in on. While I wasn't going to set any speed records, at least felt I could move at a reasonable pace since the flat trail didn't punish the legs too much. Unfortunately, I didn't have as much left in the tank as some others and I got passed by about 4 people along the way including the woman's winner Ellie Greenwood on her way to breaking her own course record. I really wanted to be able to stick with some of these people, but it wasn't happening - I only had one speed - a mediocre 4:30ish pace. Near the finish one mild hill wasn't fun, but eventually made it to the finish after a 46:26 final 10.1 km. I finished in 4:11:44 in 24th place. Not quite what I was looking for, but considering that I felt off for the whole race, my time wasn't actually too bad. It was great to see that Adam Campbell, a fellow Canadian, pulled at an impressive win over very deep field. He narrowly beat out 2nd place Sage Canaday by just 33s. Race favorite, Max King, went off course due to unprepared marshals and marking and ended up finishing well back. Jason held a high position until late it the race when he cracked and faded to 9th. Mark Nelson faded in the 2nd half, but managed to get the job done. Ellie put over 2 min into me in the last 6km or so setting the new woman's course record in 4:09:27. Sonja managed a solid 20th place finish in the woman's division with a 5:33:44 so it was great to see her finish strong. Results. While definitely not what I wanted in terms of time and how I felt, some things went well. I didn't crack, didn't cramp, didn't have any blisters or hammer any toes. Probably because I couldn't push hard, my recovery also went very well, even doing a hill workout 3 days later. I was using a Salomon hydration vest with bottles in the front that worked pretty well except some tough to reach pockets and bottles that gave me some minor rib bruising. My hydration and nutation was sufficient although I could probably have taken it a few more calories (I estimate that I probably took in about 600 calories in Gatorade, Carbo Pro, home made shot blocks, a gel, and sport beans. On the the next race, the Boston marathon. Bazan Bay is the last race in my of Island Race Series calendar this year and also 3rd in as many weeks. This distance is always painful as it is so intense since the entire effort is well under the lactate threshold (my LT is around 3:24/km). Last year I ran quite well here (15:36) and this year I hoped to be able to get under 15:30. Honestly though, I wasn't particularly looking forward to the race itself since it is such a tough effort even iwhen it goes well. Due to construction, the course was altered this year to a pure out and back race starting near the Washington State Ferries terminal on Lochside Drive and heading south 2.5km before turning back to the finish. It is fairly flat, but has a mild climb from 1-2km of about 10m and a few other very minor elevation changes. Unfortunately, despite being calm in Victoria, a steady breeze was coming off the water in Sidney and this meant that on the way out there was a bit of a headwind. It wasn't brutal, but was still significant. Unlike last year, which was a relatively shallow field (compared to other years), this year the race was stacked, both on the men's and women's side. Large contingents of speedy runners from the National Triathlon Club, UVic Vikes, Point Grey Track Club, and Speed River Club were in attendance and would end up dominating the race. With the large field, the start line was a bit crowded and everyone had to be careful to not get trampled once the gun went off. Unfortunately, I guess one guy was tripped on the line and went down. Hopefully he still finished OK. There was also a bit of gun jumping which meant that I went instantly from being on the front line to about 20th place. Its not really a big deal overall, but it is annoying when people don't wait for the gun. A large group formed in front and I soon found that I had fallen off that pace despite moving at what felt like a quick rate. Normally, this would have been fine and I generally prefer to run my own race especially on the road, but because of the wind I found myself quite exposed with only a couple of other guys running around me. After about 500-600m of this, I decided that I should try and bridge the gap to the group ahead to give me some protection from the wind. I surged to accomplish the task, but it turned out to be a bit more of an effort than I expected. It did lead to a quick opening km in 3:01 which could be good or bad depending on what happened later. It didn't turn out to be very effective, however, since by the time I actually made it to the group, it had started to splinter and I didn't gain much wind blocking advantage. Also, it took a bit out of me and I had to throttle back a bit to recover and with the wind and slight uphill grade I slowed to 3:16, a full 10s off my goal pace. It wasn't going to be easy to make that back. I picked it up a bit more on the next km, but with the turnaround it was still a relatively slow 3:11. At this point, I was in about 12th place, but around 3km, Nick Walker breezed passed me and I felt that I was already at a maximal effort and couldn't respond without blowing up. Nick is strong at this distance so I wasn't shocked, but it is still a bit disappointing to be passed. As is always the case in a 5k, the last 2k or so are really excruciating and this race was no different. At this point, every minute feels like 10 and it is all you to do to will your body to keep going. Fortunately, we did have wind assist on the way back so faster splits than normal were possible. My 4th km, was back on track with a 3:06, and I dug in for the final kilometre. Soon after, Ian Hallam went flying past me, just hammering out the final section of the course. I tried to go with him, but he redoubled his efforts and I didn't have anything more. I still managed an reasonable sprint to the finish and with a final 2:59km, actually managed to salvage the race to end with a 1s PB in 15:35. 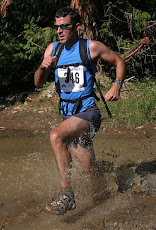 I was 14th overall, down 7 places from last year, attesting to the depth of the field. I somehow still managed to place first in the M35 category - sometimes is pays to be a bit older! Geoff Martinson broke the course record with a 14:20 performance. Even more impressive was Malindi Elmore's performance winning the woman's division in 15:48 and setting a new all time IRS new points record of 943. There were a number of other great performances and records set on the day which are summed up nicely by Bob Reid on the PIH Runner of the Week writeup for March 4. My post race volume training of 27km at a steady pace went well and I felt strong until the last 15 min or so. I even happened to come upon ironman triathete, Adam O'Meara, who was finishing up a large 2x60 min session and was running just under 4min km's, very close to my run pace. We finally got the chance to run this course after it was rescheduled from January due to snow. Cobble is one of the places where I have run decently several times, but have never had an exceptional performance. Due to the rescheduling, the field was down in numbers to under 400, but there would still be plenty of competition for me with Sean Chester, Ben Brzezynski, and Mark Cryderman in attendance. The weather was a bit cold, but there was no frost and no wind. Once we got going, it was comfortable enough. I didn't have a specific goal in mind for this race except for wanted to PB on this course (last year I ran 33:30), anything faster than that would be a bonus. For this race, I even got to sport my green sprint jersey. I didn't expect to win the sprint again so it was kind of fun to at least wear it once. Sean Chester surged ahead right off the line, trying to command the race. I settled in behind with Ben and Mark and cruised through the first km in a pretty quick 3:12. We headed downhill for the 2nd km, which passed by in 3:11. I knew the pace was a little quick, but decided to push it a bit and see what I could do. One the way back from the turn-around was a little slower, but still quite decent. Sean had stayed about the same distance in front of me and when we came to the gradual climb from 3-5km, I decided to see if I could bridge the gap. I pushed the pace and started to gain on him finally making contact around 4km. I even managed to pass him and set the pace for a short time, but I think he then realized that he had more in the tank and surged ahead again. I didn't think I could match his pace in the long run to resolved to run my own race. In my surge to catch Sean, I had managed to drop Ben and Mark, but I knew they were both strong runners and could easily come back if I faded even a little bit. I pressed on, starting to hurt a bit around 5k, and posting my slowest km from 5-6km at 3:23. The return route, while overall downhill, definitely has some undulations in it that require you to dig in to overcome. Around 7km, I heard footsteps behind - I didn't look, knowing this can give away the fact that you are worried that whoever it is may overtake you. I suspected it was likely Ben who is a fierce competitor and knows how to push to the end. It certainly helped me keep the pressure up though, I knew that I may get passed, but I wouldn't make it easy. The last two km are mostly downhill and I was able pick the pace up a bit. I was hurting, but still had a bit in reserve so when I came to the 100m sprint mat, I gave it everything. I certainly didn't want to get caught on the line. I finished in 32:49, just 6 seconds off my my 10k PB from TC last year and a full 41s faster than I have ever ran this course. It was better than expected and a pleasant surprise. Ben finished just 4s back, 2 of which I gained on the last 100m. Mark was only another 5s back from Ben. Sean cruised to a comfortable win in 32:25 taking his first IRS win of the year. The top woman was Catrin Jones in 36:36 followed by another strong performance by Clare Morgan in 37:17. A big congrats to Sonja and Larry Nylan for both breaking 40min for the first time. A huge milestone! 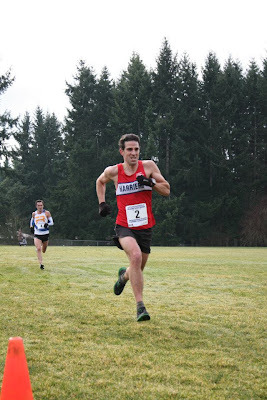 With Cobble 10k rescheduled to Feb 26, Hatley is the start of a three back to back races for me. Always a tough hilly course which is only half paved, Hatley is not conducive to fast times or PB's, but is still a nice little race. After a satisfying Cedar 12k, I hoped to have a similar race here. The course was changed slightly this year with a modified start, turn around, and flat finish - overall, it was expected to be a bit easier this time around. The start is a fast downhill and race favorite James Lander (who was 2nd at Cedar) surged ahead followed closely by Sean Chester. I settled into 3rd/4th along with Ben Brzezynski where we cranked out a relatively quick 3:10 opening kilometre. The course then heads up a good climb and since this is where I do well, I cranked the intensity up a bit. Ben seemed to be working harder than I was and he fell back a bit. Once things leveled out and then headed back downhill after the first turn-around, he fought back and we ran together for another km or so until we came to the largest climb of the course. Again I pushed pretty hard and managed to gain a few seconds on Ben. Now I only had to hang onto my slim lead. Around the 4km mark, we moved onto gravel and had to grind out a bit more climbing. I was feeling decent, although not quite as snappy as I did at Cedar. Due to the hills and the surface, km splits are all over the place on this course. My fastest kilometer was a over 30s faster than my slowest. At the 2nd turn around, I saw that I had a modest lead on Ben and a comfortable one over Shawn Nelson, who was running in 5th position. I was suffering a little bit, but was still in reasonable control. There was a bit of mud on the trails and I slipped around a bit in my road flats, but luckily it wasn't really a factor. There was one more small climb and then I knew it was all flat or downhill to the finish. 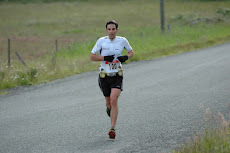 I bombed down the last hill and made my way to the final kilometer. Ben had closed the gap and was now just a few seconds back. Coach O'Cal and Keven Searle was cheering us on which was a great motivator. I still had a bit in the tank and picked it up a bit. Just before I hit the 100m mat, I accelerated for the final sprint and gave it all to the line. I finished just under 27 min for the first time ever at the race (26:57) and good for 3rd place. Overall it was a good race for me and I was particularly happy with my last km 3:05 clocking and a 13.2s 100m sprint which tied me for fastest sprint (unfortunately for Byron Trajan, who convincingly won the sprint at Cedar, didn't get his time recorded for some reason). Overall, James cruised to a win in 25:26, with Sean about 45s back. Claire Morgan picked up a nice win while Julie Van Veelan narrowly edged out Sonja for the 2nd woman. Still a great race for Sonja with her best placing ever. Good races too for Larry Nylen and Heather Afford who won the woman's sprint. Nice worked too by Ian Sealre with a tip 10 finish. He is going to be tough to beat if he keeps the training up. Heading into this race, I didn't have huge expectations. While I was racing very well in the fall and early winter, Pioneer was a bit disappointing. In addition, my training has been decent in overall volume, but a bit inconsistent, particularly over the Christmas holidays. Therefore, I didn't really know how the race would unfold and didn't plan on an exceptional performance. Going in, I simply planned to try and get a similar time to last year (40:24). A short 10 min warm-up and final pit stop and we all toed the line. Right off the line, the two race favorites, Simon Witfield and James Lander, quickly gaped the field. I managed to place myself in the chase pack which included Sean Chester, Andrew McCartney, Nick Walker, Mark Cryderman, and Ben Brzexynski. Within a short time, I found that I was feeling quite strong and the pace was comfortable despite a fairly quick start (3:12 pace for the first 2 km). While probably a bit faster than I should have been going, I felt in control so decided to simply go for it. I thought that I may end up fading a bit, but didn't think I would crack. I hung onto Sean and Andrew as the pack began to splinter after about 2k. I continued to move well and hung with Sean and Andrew for another km or so before they gradually pulled away. I didn't attempt to match them, realizing that would be risking it a bit too much. My splits continued to be quick aided by a couple of nice downhill sections and I averaged a 3:13 pace for the first 5k. I was still feeling strong, but couldn't maintain the same pace as we crested a small rise towards the turnaround on this out and back course. I regained a bit of speed for the next 2 km and was a bit shocked looking at my watch and realizing that I had actually just set 8k PB of 26:14 (5s faster than Pioneer last year). Although with 2 significant hills in the last 4k, I knew that my pace would slow. I started to feel my quick start and bit and faded slightly for a couple of km, posting my slowest km (3:32) from 9-10km. I still felt in control though and when things flattened out again I was able to pick the pace back up a bit. I knew that Nick Walker wasn't far behind at this point, having closed the gap so I was going to do all I could to nail down 5th spot. The last few hundred metres of this course is a tough grass field which saps what little energy that might be left. And like Pioneer, this time there was a mat 100m out to measure every ones finishing kick. Unlike Pioneer, where I had nothing in the tank for the sprint, this time I managed a solid sprint of 14.97s for the last 100m. It was good thing that I had something left or Nick would have kicked right past me since he was 0.5s faster for the final 100m. In the end, I managed to just crack 40min for the first time with a 39:58 clocking, good for a 26s PB. This was significantly better than expected and it felt great to feel that I was back on track. Nick finished 2s back in 6th, while Simon edged out James for the overall win in a impressive 37:36. Sean ran a great race for 3rd in 39:01. On the woman side, Care Nelson added another win to her impressive streak, although this time she had to work to edge out Catrin Jones by just 2s. Clarie Morgan rounded out the top three. It was great to see a couple athletes that I coach also run well with great performances from Larry Nylen and Heather Afford both running strong PBs. On another note, a big thank you to my running club PIH who just hosted annal awards last night. It is amazing to have such a great club in Victoria with so many dedicated people to keep the running community strong. Many deserving awards to handed out and was very honoured to received more than expected.